Michael Hajiantonis as Petruchio and Anna Swinton as Katherina. Director, Tilly Botsford, would know her audience and on the night that audience was overwhelmingly female and young and had to be with Katherina (Kate) Minola all the way to Padua and back. Right at the start callow and earnest Lucentio is advised to ‘Study what you most affect’ and Botsford takes it from there. This is not the oddball ‘pleasant comedy’ that might ‘frame your mind to mirth and merriment’; no, it’s that other version, where bladdered Christopher Sly and the play-within-the play are cut and Petruchio lectures on misogyny. The idea, of course, is that you walk out of the theatre with Katherina, a ‘foule and contending Rebel’ against Petruchio’s cruel dominion, and much is shaped to that end. An empty set consists of stepped black blocks and shiny scaffolding poles and costumes are kept plain and unremarkable: braces over white shirts and roomy trousers for gentlemen suitors and servants; with gowns for elegant swishing from Bianca (Jessica Butcher) and impudent flouncing from Katherina. The second half features harsher lighting. Nothing here of Italian colour, or period, despite the frequent mention of Pisa, Mantua, Venice. My favourite? Tranio’s sailmaker father is from Bergamo. It looked like a reaction to the vivid, beer stained, palette of last year’s ‘Romeo and Juliet’. Music, when it sounded, was a necessary relief and was, I think, under-played. If it’s desolate at its close, this ‘Shrew’ still has its several entertaining scenes. Send for Biondello, bag carrier and fixer, and Callum Pope will have you smiling in a moment as he sorts out another fine mess. 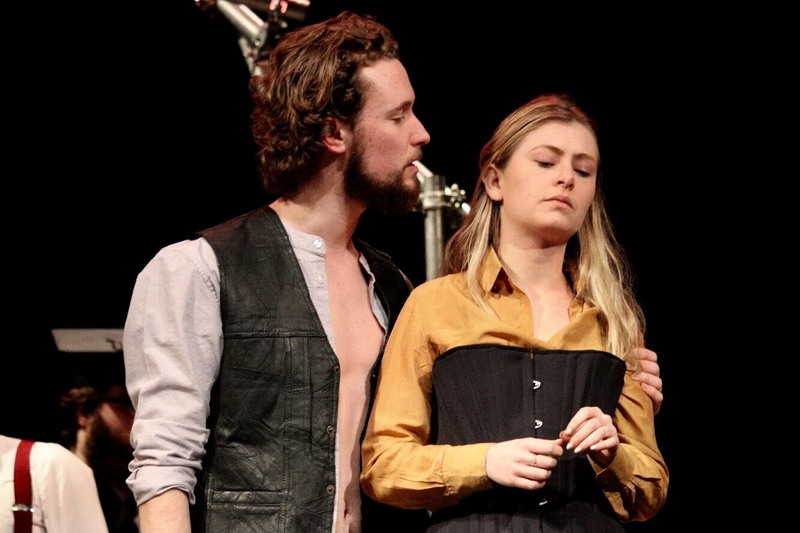 Thomas Noble’s beard and size give Hortensio unmissable stature and disguised (not!) as music teacher Licio he’s a nimble, comic treat. Will Peppercorn is the smitten Lucentio and also looks a prize chump as the elongated Cambio. Sally Macalister’s Grumio may give a knockabout performance but it’s well turned and always engaging. When Nathaniel Brimmer-Beller eventually turns up as Vincentio, humour gains a suave, ironic, dimension. Standout and habitual tailoring from Milan or DC? Tranio (Levi Mattey) is another more than capable servant-as-master and dear ‘old’ Gremio (Henry Coldstream) has the delightful, crestfallen, tribute to the ‘Great British Bake Off’, ‘My cake is dough’. So, to risk the extended analogy, what does rise to the occasion? There is no showstopper here; tonally, politically, the play is now a nightmare, and (therefore?) the technical challenge of how to sort its language is significant. ‘Coney catcher’, anyone? There is, notwithstanding, an appalling build to the fact that Katherine has had to marry a brute. Her father, Baptista (Michael Zwiauer), has no conscience. Petruchio is not, in this production, the roistering six-pack article. Michael Hajiantonis plays him straight, out for what he can get. He’s clever and vicious and unlovable, punto e basta! The command to ‘Kiss me, Kate,’ is no tender joke. Katherine is unnerved to destruction and Anna Swinton has that closing, stupefying, monologue to prove it. For my part, I miss Christopher Sly, Madam wife at his side, and with him the opportunity to pretend that ‘The Shrew’ is a piece to enjoy and applaud while the sorry world slips by. All credit then to Tilly Botsford and an excellent cast for going at the real thing, at pace and with conviction. 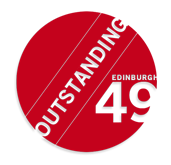 Visit Edinburgh49 at the Pleasance archive. There are considerable advantages to living in a city with such an enlightened and broad church approach to the performing arts. And being – in global terms – for music a second city compared to, say, Berlin, New York, London or San Francisco, we tend to see up and coming artists before they get the bookings on the true world stage. We thus look into the future. And the future is bright. Can you recognise the names in the headline? I doubt it. Kensho Watanabe hit the big time two years ago when, just appointed Assistant Conductor of the Philadelphia Orchestra aged 29, he stood in at the last minute for his mentor Yannick Nezet-Seguin to make his critically acclaimed subscription concert debut with the Philadelphia and pianist Daniil Trifanov. On his debut with the RSNO on Thursday he showed masterly control and grasp of the complexities involved in conducting a major full length piano concerto, and an hour long Choral and Orchestral work. One had complete confidence in him. And Can Cakmur? A Turkish pianist who won the 2017 Scottish International Piano Competition, 22 years old, and about to debut with the Tokyo Symphony Orchestra. We shall be seeing and hearing a great deal more from this highly educated, personable young man. So I suspect the draw, with all due respect to the principals, was the programme: Beethoven’s Piano Concerto No 3 in C minor Op 37, and Carl Orff’s Carmina Burana. A mixture, perhaps, of the sacred and profane. A full house, bar the usual few leg-numbing seats in the gods. It resonated with me personally that the Beethoven was being performed fifty years after Radu Lupu’s astonishing and winning performance in the final of the Leeds International Piano Competition. In particular, his rendering of the second movement Largo demonstrated thoughtful restraint and tenderness and left me mesmerised. Then we had a successor, twenty years on, to the other legendary Romanian pianist , Dinu Lipatti. And now a Turk interprets the grand man, and an exhilarating interpretation it was. After the lengthy orchestral introduction, brass and wind a little out of balance with the strings to start with, but soon settling down, Cakmur almost threw the opening scales off the piano in a brave, individualistic but convincing interpretation that proves the international piano competition world is not just throwing out sterile, technically competent clones. This young man showed a grasp of the work way beyond his years. Rightly pausing so the unfortunate plethora of uncontrolled audience coughing and sputtering finished, Cakmur created a sense of calm before the opening solo chords of the second movement Largo. The pianist’s sensitivity of playing and interpretation pleased this disciple of Radu Lupu, taking one to a level of transcendence that almost, but not quite, extinguished the insensitive uncontrolled coughing of the audience, who should not have attended in those circumstances, and should learn to cover their mouth with a handkerchief. If only the management could advise this at the beginning of the programme when they talk about mobile phones. Without a break we rushed into the final movement Rondo: Allegro. Could have been Presto. Uplifting, joyous, fun. Cakmur introduced his encore that was a melange of Liszt and Schumann overlaid by Bach. Ingenious. What stamina these professionals have, to play like that after thirty minutes of intense keyboard bashing! There was much to enjoy in the second set’s Carmina Burana, and I always get more out of listening to works that I have performed, such as this, with the mighty Beckenham Chorale. I counted at least 100 voices in the RSNO chorus who gave a very good account of themselves, a full on O Fortuna to open the proceedings, clear diction of the Latin text, great rhythmical singing in the jazz like Veni, Veni, Venias, glorious unrestrained joy in the Blanziflor et Helena. The children’s choir performed clearly without words or music, showed exemplary discipline, and have clearly been very well trained. Soloists Fflur Wyn, Adrian Dwyer and Stephen Gadd contributed well, if sparsely, giving in particular amusing renditions of a swan not enjoying about to be eaten and a drunken abbot. This is a wonderful time to be a concert goer in Edinburgh. WHAT: “A young woman is driven to the unthinkable by her desperate longing to conceive a child. Yerma, meaning barren in Spanish, is tortured by her inability to conceive and becomes increasingly consumed and disoriented by her pain. Federico Garcia Lorca’s 1934 piece challenged the social order of the time and the claustrophobic expectations of a rural Spanish village. It is relevant in our world of pressure and expectation, where women can be just as crippled by the judgment around them. Lorca’s writing is timeless. He manages to articulate the pain of lost love, oppression and unfulfilled dreams in a totally contemporary way. The roles he has written for female actresses are second to none and the atmosphere of claustrophobia that he creates is beautifully painful. It was an exciting challenge to do justice to his talent. How will such a young cast, most focused on their studies rather than settling down to parenthood, approach the play’s central themes? Whilst our actors’ lives have taken different paths from their characters, they are predominantly the same age. It is fascinating for us to explore the lives of young people in a different setting. Furthermore, the play’s central themes of social pressure and expectation is ageless. Most people feel the pressure of their surroundings and so actors have been able to draw on their own insecurities and uncertainty about the world they live in. Also as ambitious female students, motherhood is something which we must seriously consider in our future plans. Whilst we are currently focusing on our studies, the pressures of having a family and a success carer is ever present and pressing. The themes of motherhood, loss and societal pressure on women are as familiar to us as they are to the play’s characters and we will approach them with the truth of our own concerns. This play is set in a society more claustrophobic and traditionally-orientated than our own. Will contemporary audiences relate to this writing as anything more than a historical curiosity? The pressures on Yerma and Juan to be parents and to have a successful relationship may have become more subtle in the years between today and Lorca’s rural Spain, but these pressures very much still shape our lives today. Lorca was a modern thinker and knew that most women were not best suited to being a housewife, but the stereotypes he was fighting against in his literature are still apparent. We have chosen to stage the play in an atemporal rural setting so that audiences from around the UK will be able to draw on their own experiences and backgrounds. Audiences can look forward to seeing a magnified version of our society today, where the New Zealand Prime Minister is asked on the BBC if she would propose to a man and where our own Prime Minister’s shoes receive more attention than her policies. Motherhood and femininity is so interwoven with being a modern woman that Yerma feels as relevant now as it did in the 1930s. In our adaptation of Yerma we have focussed more on these central themes as opposed to the historicism and hope to transcend the original 1930s setting. The production is billed as a “multi-sensory adaptation”. What can we look forward to? You can absolutely look forward to the music. Singer-songwriter Eve Simpson is joining our cast as an actor-musician and she has set Lorca’s poems to music. Oftentimes Lorca’s poems are cut or spoken, but we have tried to remain as true to his intentions as possible by having them sung. Furthermore, to create our atemporal aesthetic, Eve Simpson and Robin Gage have drawn on musical traditions from across the British Isles and some Flamenco styles. We really are trying to create something multi-sensory, so also expect beautiful scents, visions and sounds in this production. How does Yerma fit into the rest of the season at Bedlam? If you could ask the playwright a question, what would it be? What do you think he might answer? How did you manage to write such convincing and tragic female parts? How were you able to articulate the female struggle in the Andalusian rural villages so perfectly and did you know at the time that you were creating something universal? Lorca was homosexual and a socialist and was seen as a threat to the far-right nationalist forces who murdered him. Perhaps his own struggle and isolation is written subtly into the women (and men) in his plays, who deal with repressed love, broken dreams and the feeling of being trapped. What’s the one thing everyone should know about Lorca? His fearless politics and how that manifested itself in his art, both as a writer and a painter. For Lorca, his art was a lifeline and one that cost him his life. Is Yerma as good as Blood Wedding? What a strange question! They are often printed together, along with The House of Bernarda Alba, and are sometimes billed as a rural tragedy trilogy, although that is to forget Dona Rosita the Spinster, another masterpiece. All of these plays have different plots and characters, but there is usually a woman fighting against expectation, oppressed love, an imposing older woman and men who seem lost. They are all reminiscent of Greek tragedy but feel distinctly modern. Yerma is our favourite because of the central theme of motherhood and the pressures around parenthood that do not seem to have changed since the 1930s. The play’s rapid energy and descent into madness was also something we were captivated by when we first encountered it. It is like a train that speeds towards its final crash. Are there living artists who can hold a candle to Lorca and the Generation of ’27? Lorca continues to inspire artists and creators but people should always read more of his work as it is rare to find words rendered as beautifully as his. We found a recent modern staging of Yerma to be contrary to the original aim of the piece as we love how the pain that Lorca portrays is elegantly told. His work is often simple and important action can happen offstage. Lorca’s confidence in his plays is palpable in this beautiful subtly that we seldom see on stage today. What’s the one thing you know now, that you wish you had known at production’s start? Collaboration is great. We’ve worked so much better together than we could have ever done individually. It is brilliant to bounce ideas around, disagree, agree and improve our work together. Going forward, we will always look to work in a collaborative style, both on the creative team and with actors. Emily Phillips, Claire Willoughby, Alex Neilson (obscured!) and Jill O’Sullivan. Image from Neil Cooper’s review in the Glasgow Herald. ‘… and Orpheus raises his guitar’. As lines go that’s a cracker but not really a first as there’s Val, in his snakeskin jacket, in Tennessee Williams’ Orpheus Descending, ‘the tale – as Williams put it – of a wild-spirited boy who wanders into a conventional community of the South and creates the commotion of a fox in a chicken coop’. In the first scene Val picks up his guitar and starts to sing Williams’ Heavenly Grass but stops, ominously, in the middle of the song. No clamour, no interruptions in Magnetic North’s Lost In Music and the snake coiled in the grass ain’t on no jacket. This is a one hour truly excellent self-styled ‘gig-theatre show’, with four musician / performers singing and talking of Orpheus and Eurydice, but in a totally different (youthful?) key, celebratory rather than savage or tragic. It is expressly about music and music-making and how that plays about our lives, particularly young lives, often to glorious effect. Its theatre may be in the sound and the visuals – just admire the micro-cinema of clouding memory loss – but the narrative still compels attention, as you’d hope, given the pre-eminence of its story. 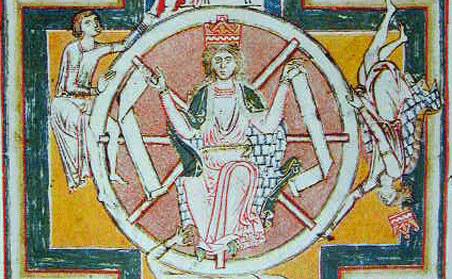 Why does Orpheus look back? In this telling it’s because he is doubtful of the Gods’ word but also, unspoken, it has to be because he cannot bear the unaccompanied silence behind him. And so back to the music and the soundscape to which the whole production is dedicated. 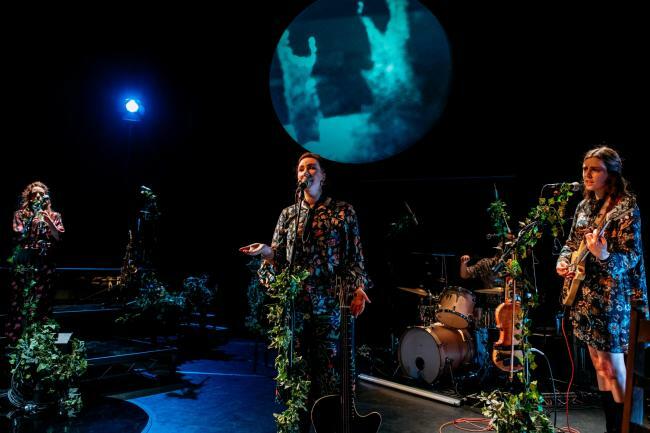 Clustered instruments gleam under Simon Wilkinson’s lighting; microphone stands, rests, and props are festooned on Karen Tennent’s green, glowing, set. Costumes are colourful and free flowing. Jill O’Sullivan opens up on guitar and vocals and one by one the others play their parts: Emily Phillips (Clarinet / Orpheus); Claire Willoughby (Saxophone / Eurydice); and Alex Neilson (Percussion). Halfway, thereabouts, there is an important pause as each briefly explains what music means to them and at the close they are joined for a swelling finale by a further six players – from neighbouring Craigroyston Community High School. 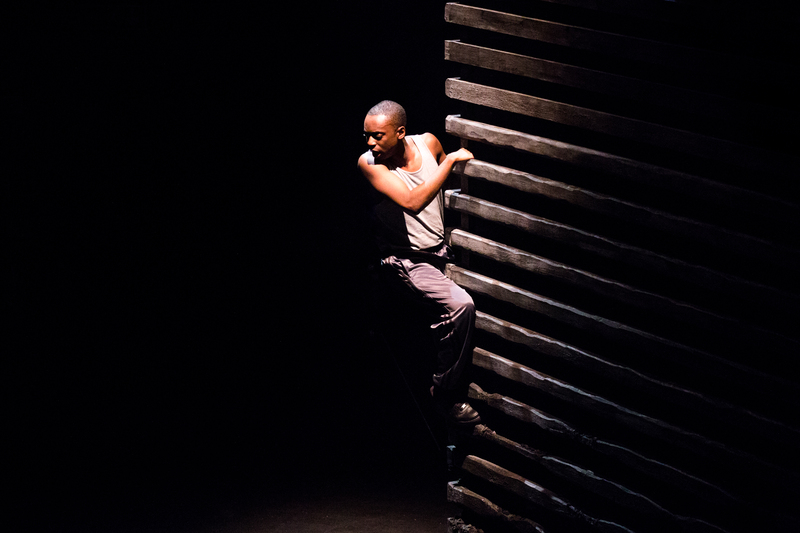 Kim Moore and Nicholas Bone wrote and direct an inspiring show that has rightly attracted support from Creative Scotland, the City Council, the PRS Foundation and – for Orpheus was the hardy Argonaut who charmed the Sirens – the Royal Edinburgh Military Tattoo. If Lost In Music looks for a place in the Festival or on the Fringe, then it should be a shoo-in. It fits that A Note of Explanation, a work-in-progress preview, is part of the third Formation Festival at Assembly Roxy. This adaptation of a children’s story by Vita Sackville-West is coming together rather well. Some Kind of Theatre could argue that their 45 minute production is in kit form: neatly engineered, quick to put up, and soon to be nicely habitable. It is, after all, based upon a very small book in the library of a doll’s house. 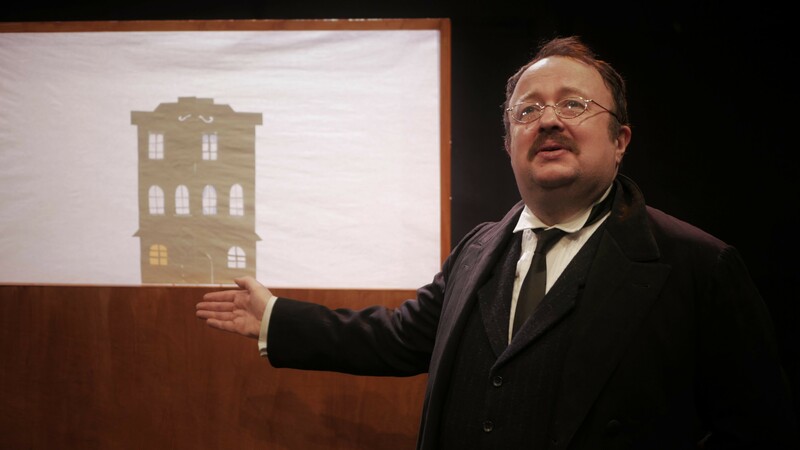 Yes, a priceless doll’s house with imperial foundations, but director and script adaptor, Emily Ingram, has carefully and respectfully remodelled A Note of Explanation (1924) for our declining and more anxious, times. I believe Sackville-West would applaud, whilst Edwin Lutyens, architect, might question what on earth we mean by ‘modernizing’. However, Lutyens is tutored and charmed by a bright and perky fairy, so all is to the good. Quercus, ageless sprite of the house, has ‘memoirs’ to enact from standing in the wings of story time. She is forever young and capable (and Scottish) and her tales of Cinderella, the Shellycoat, Bluebeard, and Jack and the Beanstalk, are cheery, cheeky, variants upon the originals. Nothing too scary here, only a silly goose. Cheery but helpful too, as each has an ecological edge; perhaps not as keen as the woodcutter’s axe but good and pronounced all the same. When Quercus accuses Lutyens of imprisoning her within the skeleton of her oak tree the royal architect is truly sorry. Fortunately there is one magic acorn left …. Ably performed by a cast of three – Gillian Goupillot, as Quercus; Imogen Reiter; and Justin Skelton, as Edwin Lutyens – with support from puppets of tree(s), agile squirrels and a carriage, A Note of Explanation is a lively and intelligent children’s show in the making. The Queen’s Hall claque are a cheerful bunch, if in the main somewhat elderly, and you know they will address almost anything put in front of them in a good spirit. Thursday’s concert gave them such a challenge: obscure Stravinsky, even more obscure Stenhammar, with the reward of some straight down the line tinkly Mozart as the filling in the sandwich. Guest conductor on the night was the personable Andrew Manze, Beckenham born (your writer’s home for 20 years) and Cambridge educated, his pedigree is just right for this type of music, which he interprets with considerable enthusiasm. Formerly Associate Director of the Academy of Ancient Music and Artistic Director of the English Concert he has been since 2014 Chief Conductor of the NDR Radiophilharmomie Hannover and has just had his contract renewed until 2021. England’s loss is Germany’s gain. The Stravinsky that opened the programme, Concerto in D, was atypical of the composer’s style and perhaps could have been more properly described as a Sinfonia for Strings. Bartok, Britten, Tippett and others have used the description Concerto when there is no solo instrument and I consider it misleading. By no means a great work, it provided an entertaining start to the evening, with an exciting, taut, sparse start ending with pizzicato double bass. The second movement Arioso-Andantino actually achieved a most un-Stravinsky like legato along with an uninterrupted melodic line. Next up was the fabulous Francesco Piemontesi with Mozart’s Piano Concerto no 19 in F, K459. This was the last of six piano concertos that Mozart wrote in 1784 and stands at the crossroads with the great works from No. 21 onwards. Simple in construction and in particular in the opening movement, the final Allegro “is one of Mozart’s most miraculous movements – the balance between the extreme light-heartedness of the melodies and the formal complexity of the motifs and the counterpoint being simply astounding”. (I do not usually use Wikipedia as a source but cannot better their description on this occasion). The orchestra opened with bright, clear intonation from the strings, soon supported by wind and brass with a strict tempo before the soloist entered. This was a lively, free spirited performance with some lovely, beautifully expressed playing of great fluency; piano and orchestra alike. For those of us who felt a little cheated from not hearing the more mature No. 27 in B flat K595, which the band had played at St Andrews the night before, we were mollified by an extended encore from both soloist and orchestra of a Mozart Rondo in A (partially orchestrated by Charles Mackerras) which sent us off into the interval with a joyful disposition. 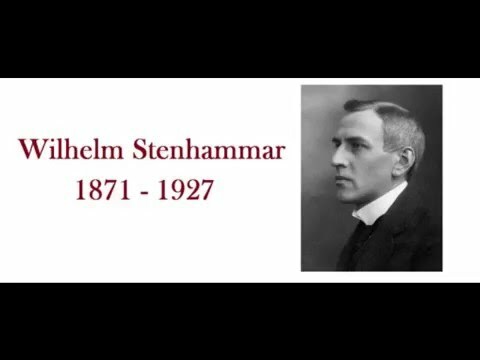 Andrew Manze spoke to us as we reassembled for part two telling us, tongue in cheek, that the Stenhammar Serenade in F was “a very well-known piece in Sweden……..which is not saying a lot…. Enjoy it, because it might be the only time you hear it! Mind you, how many of you had heard the Stravinsky?” Not so, there is an excellent recording by the Gothenburg Symphony Orchestra that is also streamed by Tidal, and of the Stravinsky by the New Orchestral Symphony Orchestra of Boston, recorded in 1954. How’s that for Reader Service? But what of the music? The opening reminded me of the sort of film music you hear for Ealing Comedies and ’50s British cinema, but later on the work developed into something more substantive. It was a well-orchestrated 40-minute tableaux, well scored with plenty of scope for woodwind and brass, with just a touch of neighbour Sibelius. Clearly a difficult piece to play, the orchestra are to be congratulated in portraying the work with such competence, fluency and enthusiasm. Visit Edinburgh49‘s Queen’s Hall archive.